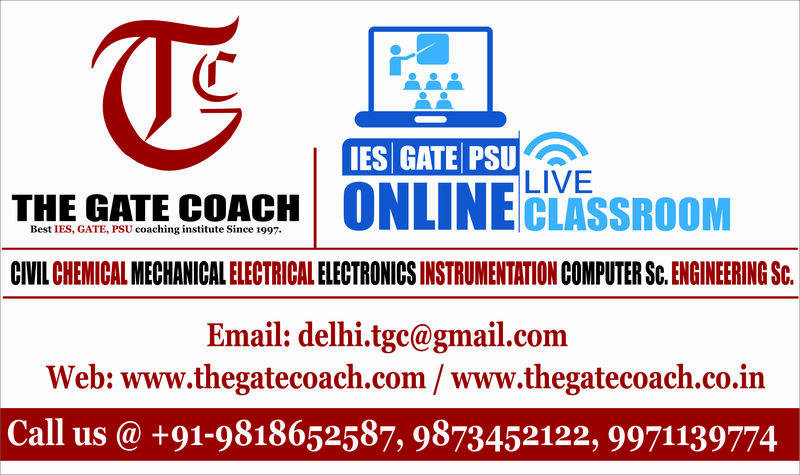 The Gate Coach has started online coaching classes for gate coaching from this year. We at The gate coach provide classes from experienced faculty. Along with classroom coaching, best quality study material, optimized test papers are also provided to all registered candidates. This material is designed by the expert faculty panel having experience of more than 20 years. 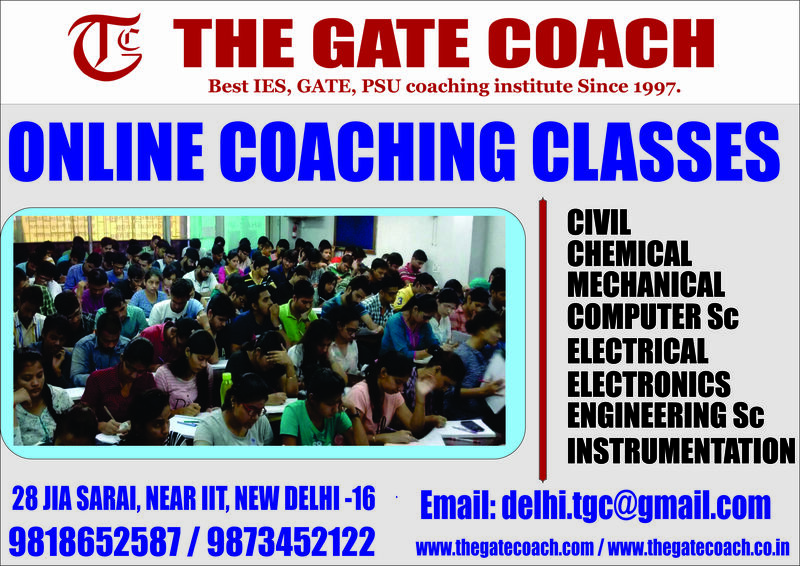 The Gate Coach is providing coaching for GATE for B Tech engineers since 1997. We are celebrating glorious results from so many years, because of the best quality teaching environment and well experienced Faculty panel. We are teaching for GATE, IES, IAS, PSU, IFS and other competitive exams. Our gate study material is compiled by ex. faculty from DCE and IITs. Separate modules are designed for each subject of Engineering streams and gate questions of related topics are discussed in class itself. All classes are taken by experienced faculty and same faculty are there for doubt clearing sessions. Online tests will be available after completion of each unit. Full syllabus is Concentrated in small modules for the perfect preparation in short period of time. Last 15 years solved problems of GATE, IES and PSUs are also added as solved examples in the gate preparation study materials. Simulated Gate online test series is available with all online classroom programs and it is based on Latest Gate Exam patterns.